The merger of the two banks brought together complementary operations to provide a countrywide spread of financial products and services. The Bank was listed on the Malawi Stock Exchange on 21st August 2000 with an over subscription of 3.4 times. It is currently one of the most liquid stocks and a key and vibrant player on the Stock Exchange. It is the biggest bank by assets and profitability. Today, National Bank of Malawi is the leading bank in Malawi with a network of 29 service centres with 850 employees and over 60 Auto Teller Machines (ATMs), providing the banks customers 24/7 access to their accounts. 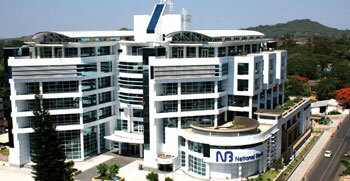 The National Bank ATMs, branded, Moneycard, also accepts VISA cards: VISA, VISA Electron, and VISA plus. Currently there are plans to open a number of additional service centres in strategic areas across the country. The bank also has a robust and exceptionally customer friendly internet banking service that has been proven to be of world class standard. BankNet Online, as it is called, is safe, secure and robustly versatile. It is available to both corporate and personal customers. Customers must visit: www.banknet.co.mw for more information on BankNet Online. The source of National Bank’s success has been the versatility of its board which has a professional, well experienced and qualified team of nine executive and non-executive directors, management and staff, whose main belief is in its mission and core values. The Bank is dedicated at providing innovative products and services to its customers. The Bank believes in adding value to its customers and that is why it offers personalized services at its network of service centres. As a leading and highly respected good corporate citizen in Malawi, National Bank of Malawi is actively participating in deserving charitable and social activities. The bank is engaged in fully fledged commercial banking activities from both at wholesale and retail level serving both Corporate and Institutional customers such as multinationals, big local group of companies, parastatal corporations and Central and local government department, international Non Governmental and local Non Governmental organisations and the diplomatic community on one hand and individual personal accounts and Small and Medium enterprises and sole traders on the retail end. The ability of the banking industry to achieve the socioeconomic objectives and in the process bring more and more customers into its fold will ultimately depend on the satisfaction of the customers. We have a strong belief that a satisfied customer is the foremost factor in developing our business. We felt a need at National Bank of Malawi (hereinafter referred to as the “the Bank”) that in order to become more customer friendly, the Bank should come out with a charter of its services for the customers. This document highlights the Bank’s commitment towards customer satisfaction, thus ensuring accountability and responsibility amongst our officials and staff. This charter for customers not only explains our commitment and responsibilities along with the redress but also specifies the obligations on the part of customers for healthy practices in customer-banker relationships. 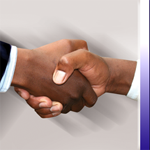 We look forward to sharing with you a mutually beneficial and long term banking relationship.